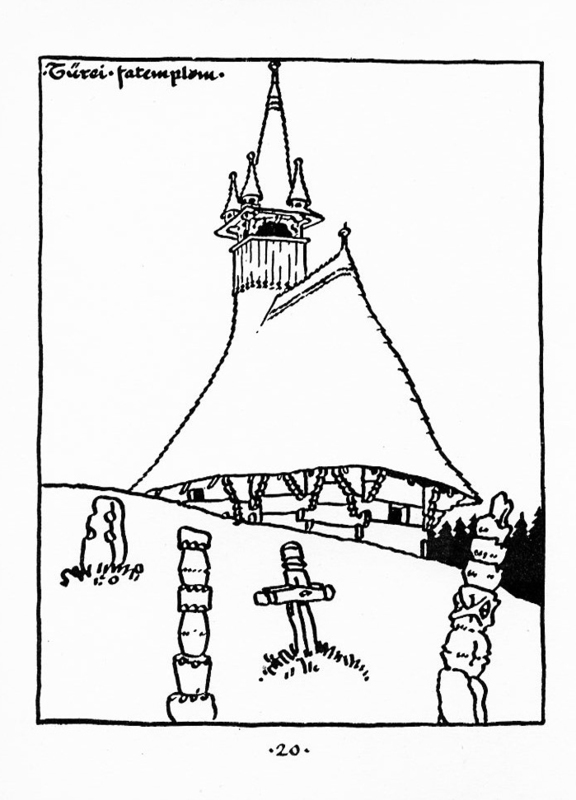 The wooden church at Türe (Tiurea). 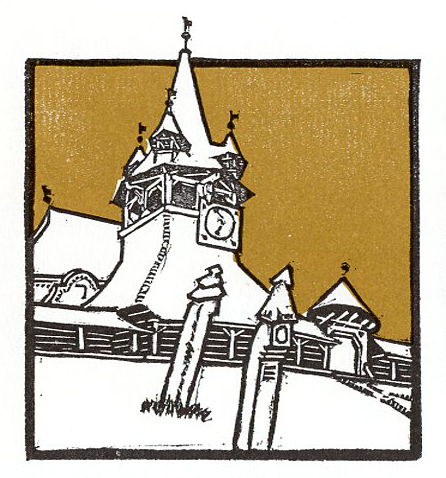 I wrote about Károly Kós’s buildings in the Budapest Zoo, and earlier about his work on the Wekerle housing estate on the outskirts of the city, mentioning his use of Transylvanian vernacular styles. 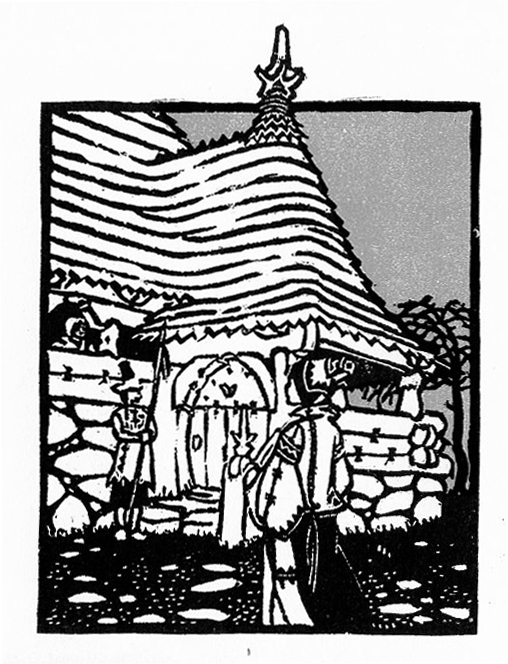 Like his contemporary Bartók, Kós made studies of the folk art of the region in the early 20th century and several of his illustrations were re-published with a text by András Székely (Kós Károly, Corvina, Budapest, 1979). 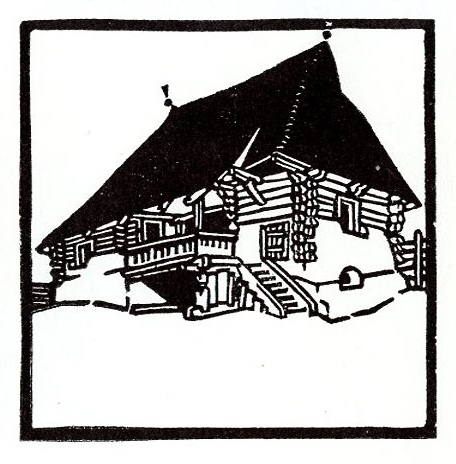 The drawings show how closely he based the zoo buildings on folk styles, but they are more than a record of folk architecture and they are beautiful in their own right, ink drawings and linocuts, characteristic of the the period and reminiscent of the graphic art of The Beggarstaffs. Typical Hungarian house at Torockó (Rimetea).